If you watch The Beatles “Let it Be” movie you will see that Paul McCartney’s 1962 Höfner 500/1Violin bass has a BASSMAN sticker on it. 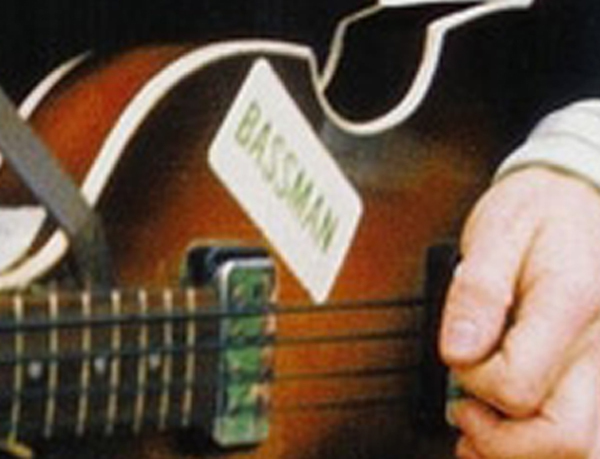 Here’s a close-up of the BASSMAN sticker. The sticker was not a description of McCartney and the instrument he plays, the sticker was taken from a Fender Bassman amplifier. It is rumored that Paul’s actual sticker came from the box that John Lennon’s Fender ‘Bassman’ amp was sent in. Here’s what a Fender Bassman amp looks like. The sticker changed positions on his bass a few times before being taken off completely. 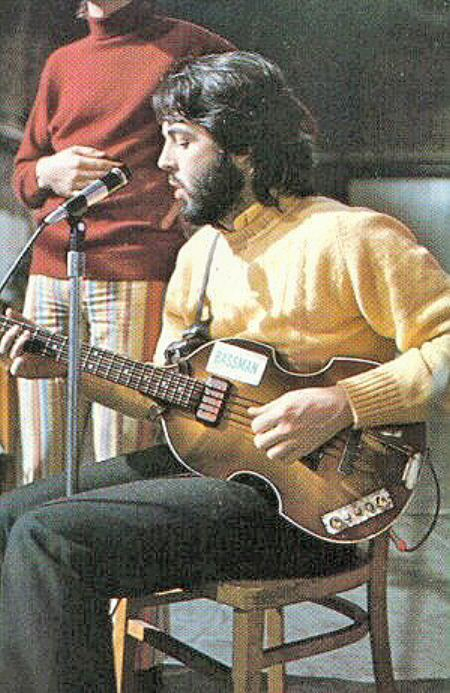 Here’s a photo taken during the “Let it Be” sessions at Twickenham Studios which shows the sticker in a horizontal position on McCartney’s Hofner Bass. 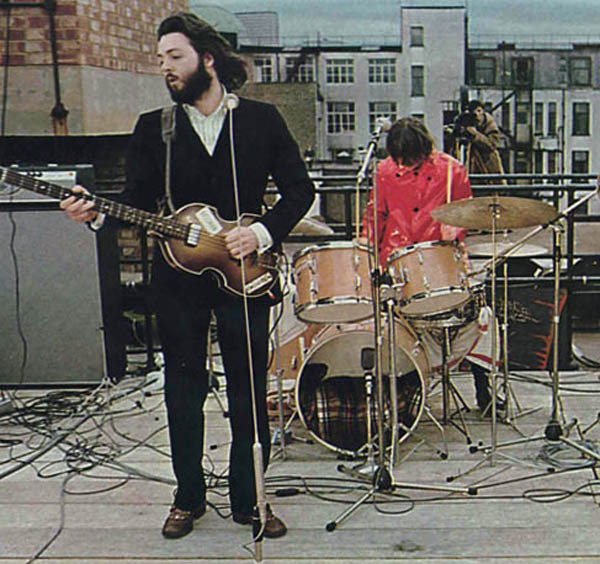 For The Beatles final rooftop concert the sticker was slightly angled up. Not quite sure when the sticker was officially removed but it never appeared again after the rooftop concert. I have a vintage Bassman Cabinet circa '67 or '68 and it has the same sticker on the side of it written in teal blue. send us a picture if you can. I have a Höffner too, and here it is a picture of it with the same sticker. Ok, ok, it’s a Rock Band’s Höffner, but still a Höffner, isn’t? The strip of paper on the side of the Hofner, is the set list of the final Beatle concert. Macca never removed it. 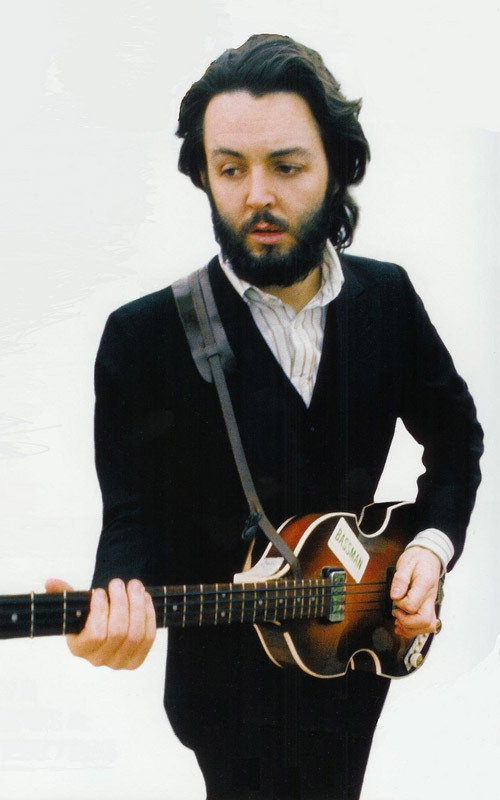 Its still on the Hofner today.